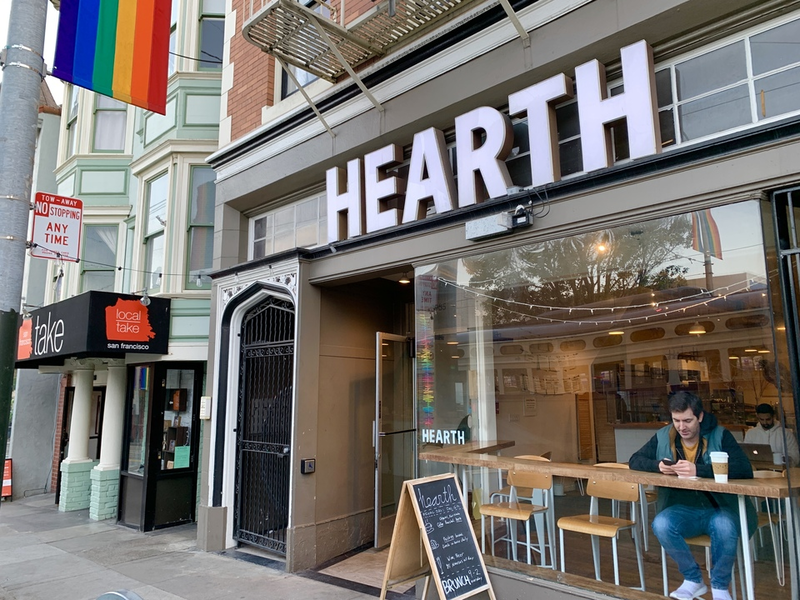 After four years in the Castro, Hearth cafe's last day in business will be Sunday, December 16th. 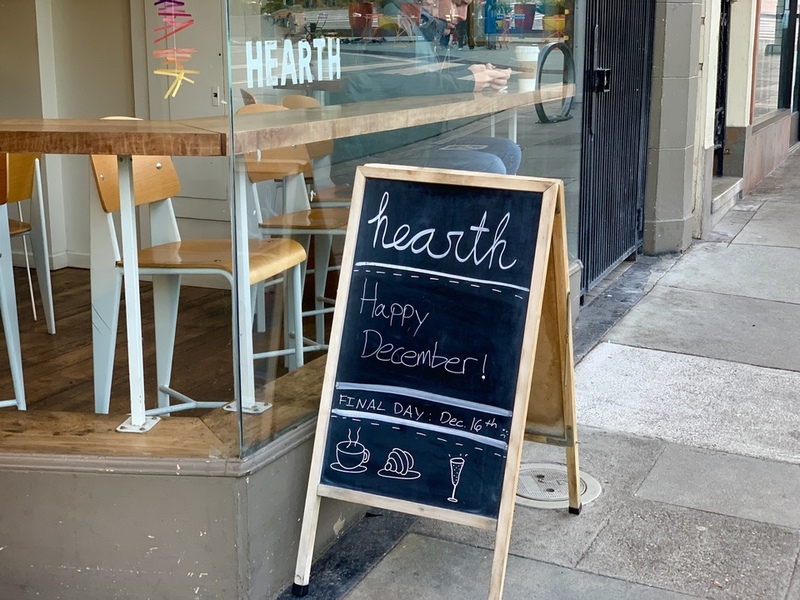 Hearth opened in December 2014 at 3985 17th St. at Castro, in the space previously occupied by Sun Days Tanning near Jane Warner Plaza. A simple note posted on the sandwich board outside announced the the cafe's impending closure. Since reaching peak coffee in 2015, the Castro's Coffee Cluster has been contracting. Back in October, Castro's illy caffe shuttered for the second time. Hoodline reached out to owners Amelia Akbar and James Kafader but did not receive a response. However, employee Azalia Martinez confirmed to Hoodline that the cafe is in fact closing next Sunday. Hearth served its own organic roasted coffee, house-baked pastries and sandwiches, along with beer and wine. A post on Craigslist lists the approximately 1,500-square-foot cafe for sale at $130,000. "Sadly need to sell due to family reasons," the listing explains in brief. 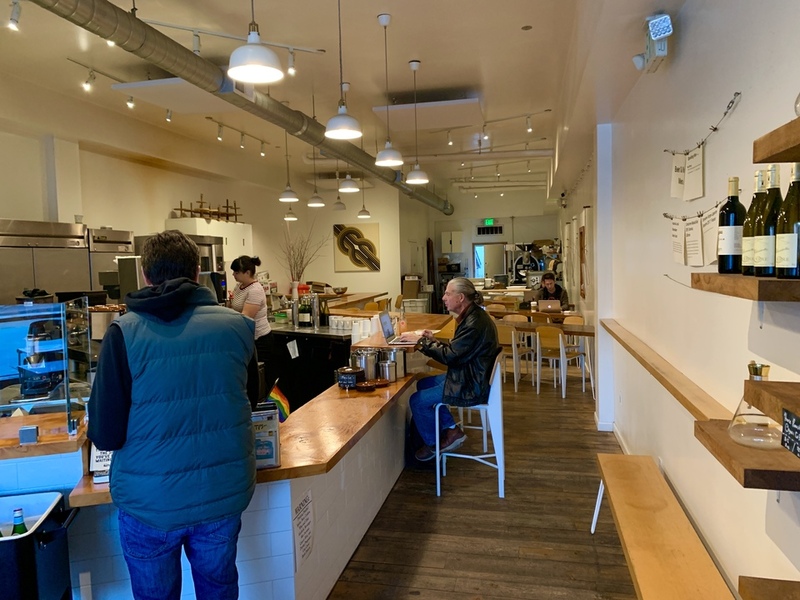 "Fully loaded turnkey specialty cafe with permitted coffee roaster, espresso equipment, baking facility and brunch station," the listing also states. Rent for the space is currently $6,600 per month but will increase to $7,000 per month next year through a five-year leave extension option, according to the listing. A Type 41 beer and wine license is included in the sale, as well as another five-year lease extension option. Thanks to Hoodline tipsters Larry C and Brendan S.!